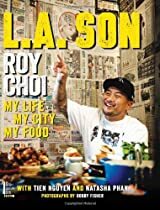 Stories that explore the intersection of food and family fascinate me, and Roy Choi's new memoir L.A. Son: My Life, My City, My Food does that exceptionally well, while also discussing the city of Los Angeles's influence on his life and recipes. 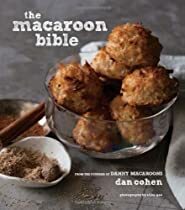 On November 6th, my Manhattan food storytelling and reading series DISH hosts Choi, along with Danny's Macaroons founder Dan Cohen, the founder of Brooklyn distiller Van Brunt Stillhouse, and author Lisa Kirchner at Housing Works Bookstore in Soho (RSVP not necessary, but appreciated). There will be macaroons, whiskey, and a shared love of the pleasures food brings to our lives. For a chance at winning these books, leave a comment with the name of the city whose food scene is the greatest in the world. The winner will be chosen randomly at midnight ET Friday evening (November 8th).